As part of the cover story Fintech sat down for an hour-long interview with sheba.xyz co-founder and COO Ilmul Haque Sajib at the company’s office in Gulshan 2. Especially busy for the big upcoming event at the end of the month, Sajib nevertheless made time to speak to Fintech about how Sheba is slowly but surely building up a service marketplace and getting ready to expand. FINTECH: Sheba.xyz started two years ago. Tell us about how you came to think about the business and how did you formulate it? Adnan and I went to university together at AIUB, and both of us were EEE graduates. We entered the telecom sector after graduation. I was at WorldTel Motorola and worked in the Warid project for entire Bangladesh. Then I moved to Grameenphone and afterwards joined Summit Communications. Adnan worked in Nokia, Ericsson and Quebee. Together we have 12 years of experience in the telecom sector. In the telecom sector we saw that the focus on quality was the ultimate metric for everything. We looked at everything like if a call had dropped or not, if it dropped then where and when it happened, etc. The highest KPI was given to quality. We saw that the service market was a niche market where not much work was done with a focus on quality. We realized that we can develop quality in this market. Sheba.xyz was conceived from this very thought. At the same time we wanted to develop something in Bangladesh, so we started working with the Sheba concept and looking at the opportunities in the service market. In 2015, we started Sheba on a trial basis at Mirpur DOHS inside a small two-room office. From there we have come this far. FINTECH: How many services did you have initially? When we started we had around 40 services. Now we offer 1,000 to 1,200 services. FINTECH: Which services were the main focus area when you started? The main services at that time were repairing, AC servicing, appliance servicing like television and fridge. Electric and sanitary were the basic services we provided, and gradually we added beauty services, car rental, food and so on. From the onset we approached this as marketplace, and we worked to standardize the market. Initially, the challenge was to create uniformity and professionalism. Sometimes, there would be complaints about service providers for unfriendly behaviour. Those were the kind of challenges we had to overcome. Take for example the moving service. When you move you need to avail at least four to five services from four to five vendors. You need labourers, electricians, plumbers, AC fitting people and so on. What we have done is that we consolidated these and now provide a one-stop service, where you can avail five or more vendors through a single order. There are many small details that we worked on to perfect the services. Day labourers, for instance, invariably wear lungi. But we pushed for uniform trousers in order to make the service more professional. We also pushed for more accommodating and friendly behaviour. Now in the ‘Pack and Shift’ (moving) service, you will not see any labourer wearing a lungi to work. We want to work in these areas of the society, this development I just mentioned. And we’ve achieved some successes as well. If you see where we are adding value, we researched and found out that under normal circumstances, a plumber can complete five tasks in a day. If he was really talented, he may be able to do 12 tasks at best. He won’t be able to work more than that. If you recall the local shopkeeper in your neighborhood, the plumber or electrician during your childhood, you will see that 95 percent of them are still working there. Why he couldn’t move up? The reason is that he cannot think of arranging more than 5 tasks by himself. We wanted to solve that problem so he can do 100 tasks in a day, and for that we brought our product called ‘Sheba Manager’ to handle his entire business. As a result, a person that used to work as a simple plumber can now become an entrepreneur and can do 100 jobs in a day through sheba.xyz. Before, someone like that would typically earn Tk10-12 thousand in a month, now he is earning Tk1-1.5 lakh because it is possible through our product Sheba Manager. They can now more efficiently manage their business and develop further. We have many examples like this. Not only we are developing the quality in the service market, we are also working to enhance the life of the service provider and expand his business. That is our Sheba Manager product. FINTECH: What were the challenges you faced at the start of the company? Initially, the main challenge was ensuring stable service from the providers. For example, you have five key resources, or five service providers and we naturally had a small pool of providers in the beginning. But now, we have over 3,000 service providers, and we can depend on that. But that wasn’t the case obviously when we started. We have solved that problem, brought in more service providers, gave them professional conduct training and technical training. The second challenge we faced was quality. When we started with a focus on quality in the marketplace, we emphasised on adequately training all the service providers. But even then we still had issues regarding professional conduct and there would be mistakes from providers at the customer’s house. We solved that problem by introducing customer rating, and through detailed training. At our platform, when you want to order a service provider, you can see his customer rating. We always tell our customers to give a low rating if the service provider doesn’t work well. This helps us to identify who has the low rating and as a result the chances of getting work for that person goes down, further ensuring quality service for end-users. This also encourage the service provider to improve his work. And there we have a role to play. We have developed easy to use online and offline training. You have short instructional videos that providers can access through the app. After watching a video a service person has to sit for an exam. If he passes the exam, he becomes ready. And if there’s a problem with someone’s improvement we are able to put their names in the blacklist. There were other minor challenges. Those were mainly operational and we were able to mitigate them overtime. FINTECH: One of the biggest challenges for a startup, especially in Bangladesh, is funding. How did you deal with that? When we started, we began with our own savings. Then we had support from friends, family and from angel investors. This is good news for the Bangladeshi market that the number of angel investors is increasing. The investment culture has been developing and people are more prepared to believe in startups. Before, people used to keep their money in the banks, but now they have started to invest in businesses. We were very lucky to have some angel investors and they helped us come this far. We have multiple angel investors. In Bangladesh, we have VCs and we are talking with them about investment and working with them. We are getting good response as well. In India the VC culture has reached a mature stage. Even though we are not there, I think the culture is growing in Bangladesh and that is good news for all startups. People starting businesses need to know how to present their project to an investor and show that it is a scalable business. Anyone can come up with a new idea but what the investors need to know is whether the people genuinely have the capability to roll out that idea. They think about if the founders are ready to give effort to convert the idea to a minimum viable product. Basically, investors judge these aspects because startups have no assets, the founder is the asset. When investors find these elements and see that the initiators of the business can roll out their idea, they come onboard. FINTECH: What was the moment when you could see the business was picking up real momentum, and you could see this was working? We started small, came a long way and we think we still have a lot of work to do. Take for example Facebook; people in Bangladesh are using Facebook for the last 10 years. Mark Zuckerberg started Facebook as a small project but now people are practically running their businesses through Facebook. Life has become easier and more convenient through something that was a small project once. It was our dream to build a product of Bangladesh, a product that will be used by people around the world to make their lives easier, just like how we use Facebook today. If you consider that dream, we are still at a miniscule stage. Starting from Mirpur DOHS, we expanded our service to cover the entire Dhaka city. We intend to serve the entire country by the end of this year and Inshallah in the first quarter of 2019 our international expansion will begin. We are planning to provide service in Indonesia, Malaysia and Myanmar. We are in talks and we will move to the mature stage soon. So, talking about the trigger point, covering the whole of Dhaka from serving Mirpur DOHS was a huge milestone. To be honest we haven’t achieved success at the level we aspire to. However, we won some awards last year that we are very proud of. On the ‘ICT Day’ which is on December 12, 12 organizations involved with the ICT sector were awarded. Sheba.xyz was chosen as the startup of the year at the Daily Star ICT Award. Before that we started from GP Accelerator, which was very important for us. GP Accelerator helped us gain experience. We think GP Accelerator pushed us forward by three years during the four months. We worked to make our product even more viable at that time. FINTECH: Gathering business intelligence is a problem in Bangladesh, because there is a lack of reliable data. How did you gather the necessary data at the primary stage and how important was it to the business? To understand the market, we conducted surveys and analyzed the data ourselves. We deployed teams for the surveys and collected different types of data to find out the market requirements, especially which services are sought most frequently. We got the information from those surveys. We could identify the needs more precisely from customer queries. From there, we designed our products accordingly. Apart from the services we provide, we have a 24/7 call center and a chat service where you send messages 24/7. We receive many requests through this channel. From here we can find out which services we should offer. Other than the 24/7 in-house call center, we have apps, website and Facebook page. Right now the messaging service is open till 2am. FINTECH: How large is the service market? It is huge. Let’s look at Mirpur DOHS. There are 1,300 plots in Mirpur DOHS. There are 7,500 flats. If we just talk about housemaid (we are not offering housemaid services at the moment, I am mentioning it to explain the situation), out of the 7,500 homes say 40 percent have housemaids, it comes to 2,800. You generate Tk4-5 thousand from each of these 2,800 homes. That’s close to one crore taka. And that’s is only from one service and only in one small area in Dhaka. The market for our category of services for the entire Dhaka city is huge, billion-dollar worth of business is out there. And people have started using these services. For this massive market there is a lot scope for work. I can give you the exact number for the service provider level, which is 12 lakh for entire Bangladesh. These 12 lakh SMEs are providing the services. These service providers are working in a market worth over a billion dollars. We are trying to provide them with a platform. FINTECH: Who are your competitors in the market? Would you say the market is ‘large enough for everyone’ and there is room for many? And finally, is Sheba.xyz currently the largest company in this field, in terms of reach and size? We have around 3,000 plus service providers. We are looking to increase this number to 10,000 by this year. As for competition, we don’t feel we necessarily have competitors, because our platform is different from others who provide similar services. Businesses that are providing a service can also serve through Sheba. That is why they are not our competitors. They can build systems to expand their business and we can work together if they want to give training to service providers. And the market is huge and quite new. With more people coming in, it will only help the industry grow further and make the service market platform more reliable. We always welcome newcomers into the market so we can grow together and collectively develop the industry. From the customer’s perspective, this is good because they can compare the service, judge for themselves where they can get a better deal, from where they can get more value. So, in the end the customers will be benefitted. FINTECH: You are planning to roll out across the entire country by January. What are the preparations you had to take in terms of training and quality control? We have several offline points for this purpose. We work in collaboration with some organizations that have setup points across Bangladesh. A service provider can automatically register at these points, as well as availing the necessary training. This is how the acquisitions of vendors for the roll out across Bangladesh is taking place. In other words, we are partnering with organizations which already have their setup. Since this is an online service market, we encourage online training more than offline training. Just to explain this further, we have 30-40 video clips of 2-3 minutes of duration that have clear step by step instruction on how to talk, how to call, how to work, etc. The service provider will give an exam after watching the video. When he passes the exam, only then he is eligible to provide service through Sheba. The thing is offline training involves so many factors and it is not scalable. So, we use this online training to prepare them. When he comes onboard, gets verified through our system he is deemed ready to partner with us. FINTECH: What type of insurance service you avail currently for covering damage and what is your system for dispute resolution? We are giving damage coverage on both ends, both to customers and service providers. While working in the customer’s house, if a service provider causes damage to an item, we provide damage coverage up to Tk5000. Our support management team investigates such cases, and if it is found out the service provider was responsible, we provide the damage coverage to the client. In the same way if the service provider does not receive any fees from the client, the issue has to be raised and if the support management team finds the allegations to be true, we compensate the service provider. We have a warranty period of seven days within which period the dispute has to be resolved. We don’t have any insurance policy as of yet. We are actually funding this ourselves. We have plans to get third party insurance to make the service provider’s life easier. 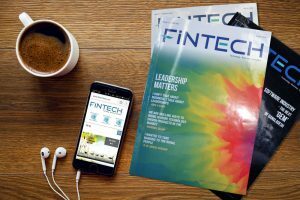 FINTECH: Could you talk a little bit about your payment structure and how the agreement with your vendors work? The thing is for this market, we are not only helping the vendors by providing them a platform, but also helping them manage the business. If you take a look at the dashboard you will see how this is a management solution tool. With the dashboard, vendors can see how many jobs they have for the day and all upcoming jobs, they can see complaints, their monthly income, how many resources he has and how many are free. Normally these businesses do not have any kind of organized records of their income. They have no precise idea about how much they spend or should spend. But with us they can see everything. Not only that, a provider is able to see and manage his human resources. He can look at the total personnel available at any one point of time, look at the ratings of an individual resource, look at how much revenue that resource is providing, look at the data and see if a resource is providing good revenue or not, how much is assigned for each resource. This enables a business to take important decisions. We are giving them the complete business management service which is our main focus. For that they pay us a service charge for each job they get through our platform. The payment method is cash on delivery. Service providers collect the full amount and our fees are paid later. A customer can also pay online as well. The rates for the services are fixed by the service providers because it is their business. In this competitive market, if the service provider wants to get more work, he has to set price competitively. We ensure the quality in the whole process. When you go online to place an order as an end-user, you can see multiple service providers and their prices and customer ratings. Then you can judge which service provider you want. Let’s say, you want AC repairing. You go on the app and then you select the right categories, select other things like the time and type of AC, etc. After that you can see a list of all the service providers available for the time and type of service you selected. If you schedule the service for say 2pm tomorrow, only the names of those who are free at that time will be suggested. There was a time when AC servicing was Tk500, not less than that. But now due to competition, the service providers were forced to lower their prices. The only thing we are concerned about and may regulate is prevent abnormal pricing that is unreasonable. Other than that it is your business, if you set a high price that is up to you. If customers choose others over you for that, that is also your problem. And that is how this works. On many occasions, we see the customer choose someone with a higher price because they also have higher rating. If a customer wants to know about the service provider in details, they can click on the name and get all the relevant information. FINTECH: Can an individual register with Sheba? We are only registering organizations at this moment. It must be a company with a minimum of three persons. FINTECH: Talk a little bit about why you went to the international market before scaling up within Bangladesh? We haven’t actually started working in the international market, our first target is to roll out in Bangladesh. We have rolled out in Dhaka and for outside Dhaka it is currently on trial as a pilot project. This pilot project has been successful and now we are working to expand to four divisional cities and districts. However, we are in talks with relevant bodies and organizations about international roll out because we have a ready product. It is useable in any place. Details of the platform change with changes in geographical areas. For example, AC servicing is more for Dhaka and few other cities than for villages. In the villages services like renting a rice milling machine would be more suitable. Our product is ready to adopt these changes and that is why we are looking to expand beyond the country. But Bangladesh is certainly our top priority area. FINTECH: Will you not be at a disadvantageous position in foreign countries, compared to the native or local companies there? No, because I am providing a platform for foreign companies, which is our app platform. There might be a platform in a foreign country. We know for a fact that there isn’t one at our level in Indonesia. However, even if one exists, we will enter as the competitor. The product we have created, you will hardly see one like it in the service market. There are probably 2-3 similar products in the entire world. There are many ride sharing apps in the market. That is because the product is available in the market, whereas the product for the service market is not available. As we build up the platform we are gathering new experiences and putting that input into our platform. The challenges we face every day, the challenge a service provider faces at the base level are all being used to build this platform. Consequently, we are creating a unique product that is not really available in the market that easily. That is our product and there will be competition if there is another service. The local service provider will then have to decide whether they want our app or the competing app. Actually, a provider may use both, giving more priority to one over another. Either way, it works.